Contactron hybrid motor starting solutions- constantly evolving to meet market needs! 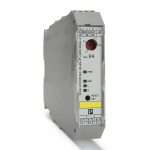 The Contactron Hybrid motor starter was launched in the UK in 2008 with a limited offer, but has been developed into a comprehensive product family of motor starting solutions and motor and machine monitoring variations. What you may have noticed recently is the change of colour. The original green (RAL 9010) is replaced by a smarter more ergonomic grey (RAL 7035) – the size and functionality of the starters remain exactly the same. 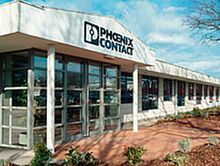 The latest offer from the Contactron family is called Contactron Pro and has an integrated safety function that utilises Phoenix Contact’s world famous TBUS system to help simplify the wiring. Contactron Pro has an increased level of simplicity in functional safety, high system availability, and easy handling. 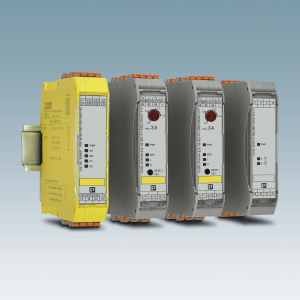 Also available is a new relay module used to increase the number of signalling contacts available to the basic Contactron relay, increasing the number from 1 changeover to 3. 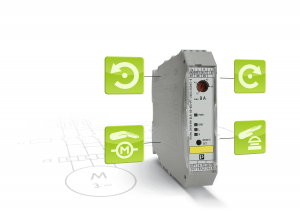 A clever hybrid motor starter for up to 9 amps that combines forward running , reverse running, overload protection and the possibility to integrate the unit into SIL3, PLe and Cat3 emergency stop safety circuits. All of these functions in a unit that is only 22.5mm wide! 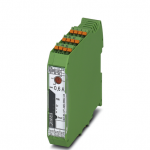 A Type 2 co-ordinated version (to IEC 60947-4-2) incorporating fast blow fuses to protect your plant and personnel. The Contactron Hybrid Motor Starter can be quickly put back into service following a short circuit fault, by simply replacing the fuses. 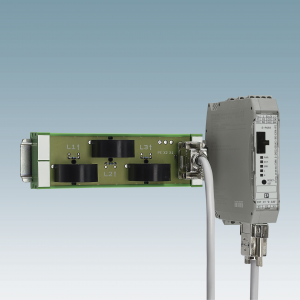 The fused version can also be directly mounted onto the new 125 amp rated Cross-Power distribution board – ideal for machine builders – or with adapters it can be mounted straight on to DIN rail or on to 60mm bus bars. 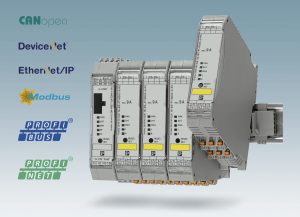 Contactron can also be integrated into traditional fieldbus systems via the new network-capable versions when combined with a corresponding gateway. 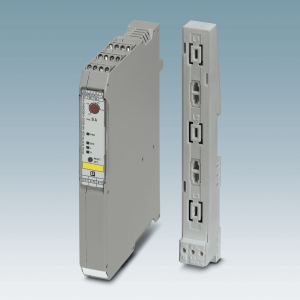 Up to 32 motor starters can be integrated easily into a network. Gateways are available for all common networks. A brand new product for the market is the Contactron EMM Electronic Machine Manager, which provides cost effective energy measurement of your motors and machines. The Electronic Motor and Machine manager combines precise energy measurement with the display and monitoring of important parameters of motors, machines and other 3 phase loads.